NEW WESTMINSTER – Saying it’s time to build a safe, reliable crossing for thousands of daily commuters, Premier John Horgan has announced that the B.C. 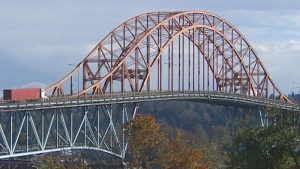 government is moving forward with the construction of a $1.377-billion bridge to replace the aging Pattullo Bridge. The Pattullo Bridge replacement project will be delivered solely by the Province. The project includes a new Pattullo Bridge that will be located upstream of the existing one, network connections in Surrey and New Westminster, and the removal of the existing bridge. The new Pattullo Bridge will be owned, operated and maintained by the Government of British Columbia. “By stepping up to own and deliver a new Pattullo Bridge, our government is making sure all people who use the bridge can benefit from a safer crossing and easier connections into New Westminster and Surrey, whether by walking, driving or cycling,” said Claire Trevena, Minister of Transportation and Infrastructure. The new bridge will be four lanes that will be built to modern safety standards, featuring a centre safety median barrier and wider lanes to accommodate both passenger and commercial vehicles. The bridge will also have walking and cycling lanes, separated from traffic, on both sides of the bridge. There will also be smoother connections on and off the new Pattullo Bridge with new direct road connections between the bridge and East Columbia Street in New Westminster, and a new direct off-ramp from the bridge to westbound Highway 17 in Surrey. The Province will proceed with the request for qualifications (RFQ) phase of a competitive procurement process later this spring, with start of construction in summer 2019. The bridge will be open to traffic in 2023. 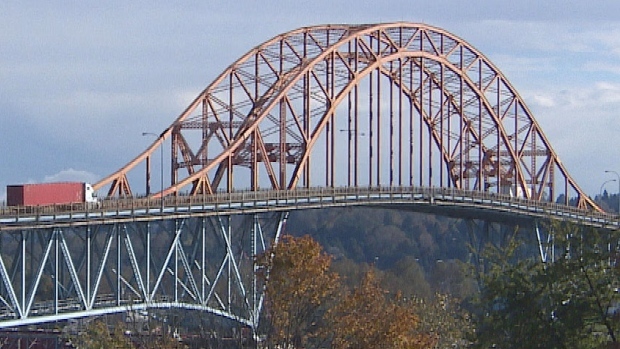 Opening in 1937, the Pattullo Bridge is one of the oldest bridges in Metro Vancouver. The bridge was designed for a 50-year life, which has been exceeded by 30 years.